Are you ready? The Check-List for Going into Business (PDF) can help you prepare a comprehensive business plan and determine if your idea is feasible. We're the organization you can turn to for free, confidential counseling. 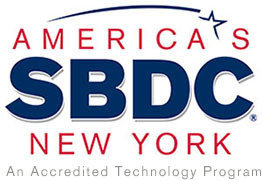 If you or your business reside in New York, the SBDC can maneuver you around the obstacles to success. Through direct counseling, we provide a range of management and technical assistance services. I want to start a small business – where do I begin? This can certainly be a daunting question. First, make an appointment to receive counseling, free of charge, from your local SBDC. Among other talents, our advisors are adept at helping you write a business plan, the "roadmap" for your venture. Assistance from an SBDC is available to anyone interested in beginning a small business for the first time, who cannot afford the services of a private consultant. I’ve made an appointment with an SBDC advisor. Now what? Write down your questions. Bring a list of your questions and concerns to your appointment. Review your finances. Know what resources you have to invest in the business, and how much income you need. Don't make any rash decisions. Meet with an advisor before making financial or life changing commitments (like signing a lease or quitting your day job). Starting a business can be more complex and take longer than you expect. Set a goal for your meeting. Have a vision. Your advisor can help you get there, but you have to know where you want to go. 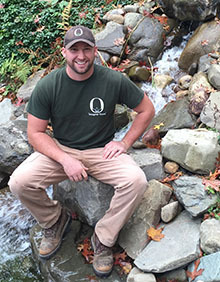 Where do I find information on permits and licenses? Your first visit should be the New York Business Express website. Also, the New York State Division of Licensing Services will be helpful regarding certain types of businesses. NYC Business Wizard can help New York City businesses learn about relevant permits and licenses. Where in New York can I register my business as a corporation? You should visit the site of the Division of Corporations within the New York Department of State. They’ll have answers to your questions. Where can I obtain a Federal ID number? Also called a "Federal Tax Number" or "Employer Identification Number," you may apply for an EIN in various ways, including online, through the IRS website.